Important clue for solving the mystery. There’s no shortage of evidence linking brain function to the composition of our gut bacteria, but just how that relationship works is still something of a mystery. Now, a team has uncovered what looks like a communication channel between gut microbes and the brain, and they’re theorizing that the operation of this pathway may ultimately help explain how autism develops. The researchers have specifically found that cortisol — often called the “stress hormone” — could act as a messenger to chemicals in our heads. These chemicals — called brain metabolites or neurometabolites — are crucial for helping the brain to function and grow. To examine any potential associations between gut bacteria and compounds in the blood and brain, Mudd and fellow researchers studied 24 one-month-old piglets, which bear strong similarities to human infants in terms of gut and brain development. Using magnetic resonance spectroscopy to identify concentrations of neurometabolites, the aim was to find any associations with the pigs’ gut bacteria. The analysis turned up a number of links. The genera Bacteroides and Clostridium predicted higher concentrations of a brain chemical called myo-inositol, while Butyricimonas predicted one called n-acetylaspartate (NAA). Bacteroides also predicted higher levels of creatine, but an abundant presence of Ruminococcus bacteria was associated with lower NAA concentrations. That’s important, because while these compounds are involved in a number of chemical processes related to metabolism, they’ve previously been identified as a significant factor in autism research. Using a statistical method called mediation analysis to examine the ties between the bacteria Ruminococcus and the molecule NAA in particular, the researchers found that cortisol indirectly influences and enables the relationship. What this means is, in effect, the bacteria uses the steroid hormone to communicate with and make changes to the brain — at least in terms of the NAA metabolite. “This mediation finding is interesting, in that it gives us insight into one way that the gut microbiota may be communicating with the brain,” one of the team, Ryan Dilger, explains. The researchers are cautious not to overstate their hypothesis, especially since this research is based in a statistical analysis focused on piglets — meaning this can’t be taken as a clinical demonstration that the same mediation process is happening in people. But nonetheless, this kind of pathway may ultimately help explain how bacteria has been associated with any number of conditions — including strokes, Parkinson’s disease, irritable bowel syndrome, chronic fatigue syndrome, and more. That list also includes autism — which researchers have previously hypothesized could be linked to bacteria. We may not know more with greater certainty until future clinical trials can replicate these findings — but the researchers, for all their caution, think they’ve definitely found something here. “Initially, we set out to characterize relationships between the gut microbiota, blood biomarkers, and brain metabolites,” says Mudd. 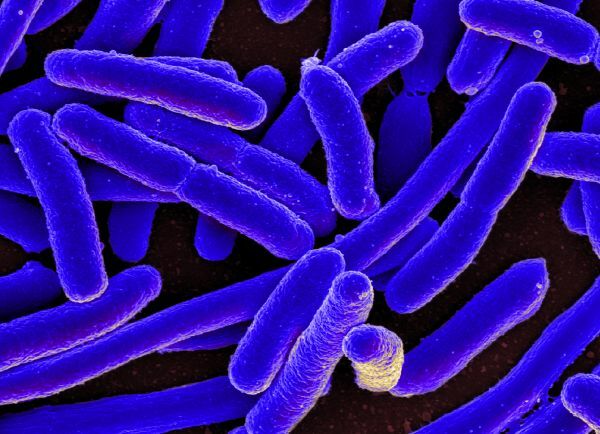 The findings are reported in Gut Microbes.